WASHINGTON — Republican Donald Trump asserted Monday there are thousands of people living in the United States “sick with hate” and capable of carrying out the sort of massacre that killed at least 50 people in a Florida nightclub. “We can’t let people in. 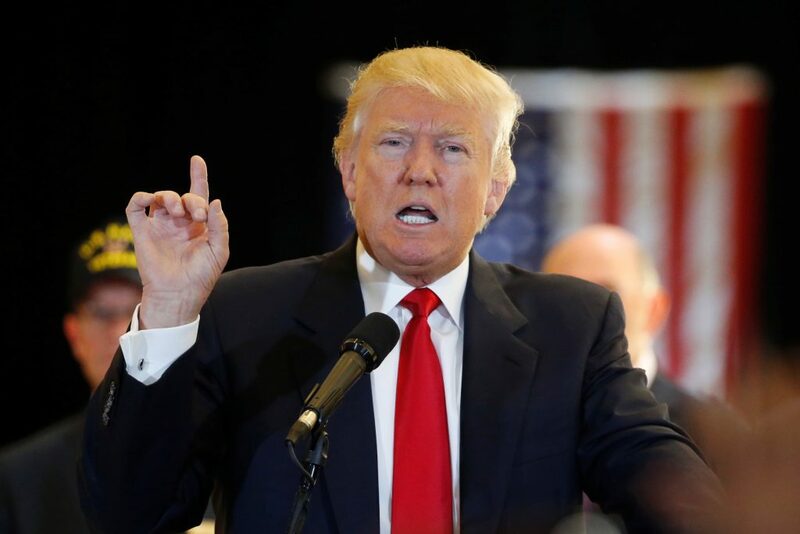 … We have to be very, very strong,” the presumptive Republican presidential nominee said in one of a host of broadcast interviews he undertook in advance of a speech he planned later Monday in New Hampshire. Trump, who got embroiled in controversy early in the presidential sweepstakes when he advocated a ban on Muslims being admitted to the United States, said “there are people out there with worse intentions” than the perpetrator of the shootings in Orlando early Sunday. “They have to report these people,” he said. Trump planned later Monday to further address the deadliest shooting in modern U.S. history in a campaign speech originally intended to attack Hillary Clinton, the presumptive Democratic nominee. That switch came a day after Trump called for Clinton to drop out of the race for president if she didn’t use the words “radical Islam” to describe the Florida nightclub massacre. Trump will retool his talk in New Hampshire to “further address this terrorist attack, immigration and national security,” his campaign said Sunday. Trump’s hardline approach to fighting Islamic terrorism was a hallmark of his primary campaign. Besides proposing a temporary prohibition on foreign Muslims from entering the country, he has and advocated using waterboarding and other harsh interrogation methods to try to stave off future attacks. In the hours after the Orlando shooting, Trump issued a statement calling on President Barack Obama to resign for refusing “to even say the words ‘radical Islam'” in his response to the attack. He said Clinton should exit the presidential race if she does the same. In an address from the White House, Obama called the tragedy an act of terror and hate. He did not talk about religious extremists. He said the FBI would investigate the shootings in the gay nightclub as terrorism, but added the gunman’s motivations were unclear. While some Republican leaders have encouraged Trump to abandon his proposed Muslim ban in an effort to broaden his support among voters before November’s general election, the Orlando attack appeared Sunday to harden the billionaire businessman’s position. “Appreciate the congrats for being right on radical Islamic terrorism, I don’t want congrats, I want toughness & vigilance. We must be smart!” he’d written earlier. Clinton’s statement and tweets on Sunday made no mention of Trump. She did make the case for gun control and reached out to a key constituency — gays and lesbians. “To the LGBT community: please know that you have millions of allies across our country. I am one of them,” she said. Clinton’s campaign postponed what would have been her first joint event with Obama in Green Bay, Wisconsin, on Wednesday because of the shooting. She will campaign Monday in Ohio.